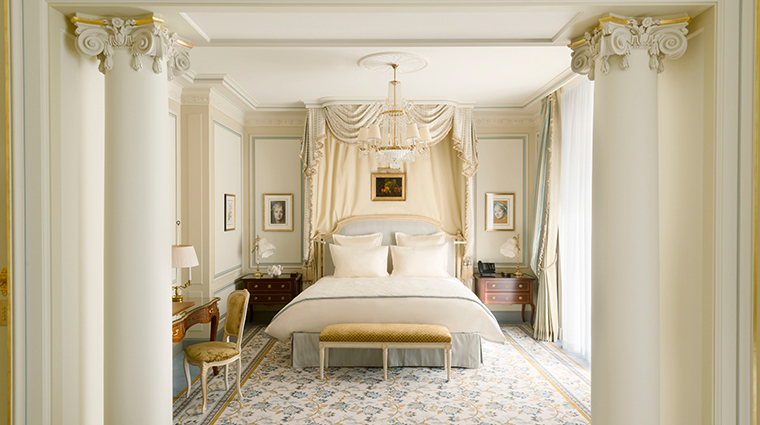 When dreaming of Paris — of its centuries of history resulting in grand institutions, paeans to art, instantly identifiable architecture and sublime food — few modern-day edifices tie itself to the city as closely as the legendary Ritz Paris, opened by Cesar Ritz in 1898. 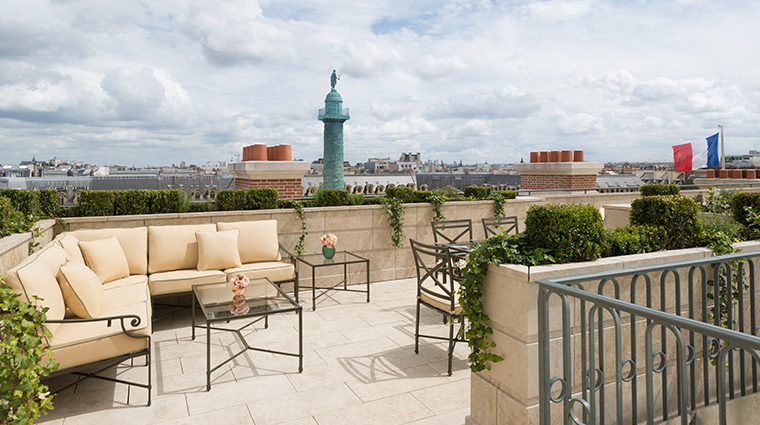 The hotel’s prime location in the Place Vendôme has anchored it not just as a temporal respite for weary travelers but as an actual home to luminaries such as Coco Chanel (she lived there for 35 years), Ernest Hemingway, the Duke and Duchess of Windsor, Marcel Proust as well as many major political figures visiting the city in the last century. 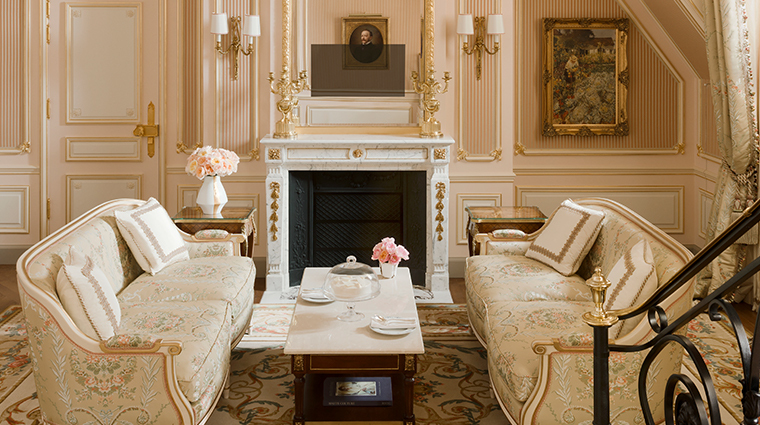 By the turn of the 21st century, however, the Paris hotel was showing its age. So, in 2012, it made the bold decision to close in order to undergo a top-to-bottom renovation. 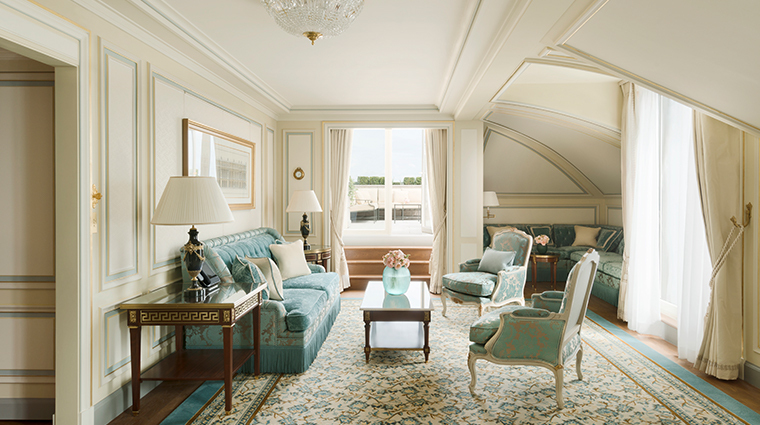 The hotel’s re-opening brought a world of opulence and historic prominence to the 21st-century traveler. 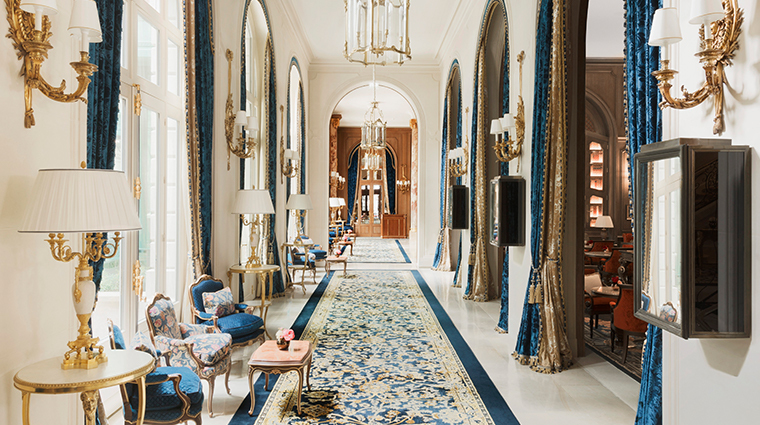 Enter the Paris hotel and the soaring lobby impresses, with an oversized antique map of the city resting beside a grandiose fresh floral display, designed by Les Jardin de Matisse’s Anne Vitchen. 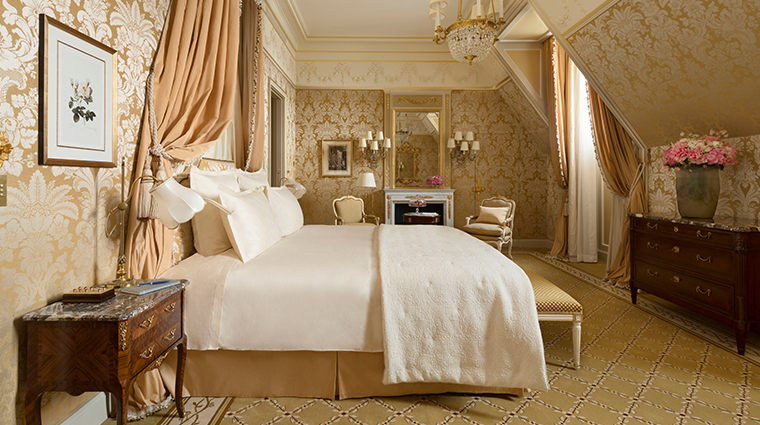 The senses are also immediately flooded by the calming signature smell of the Ritz — amber. 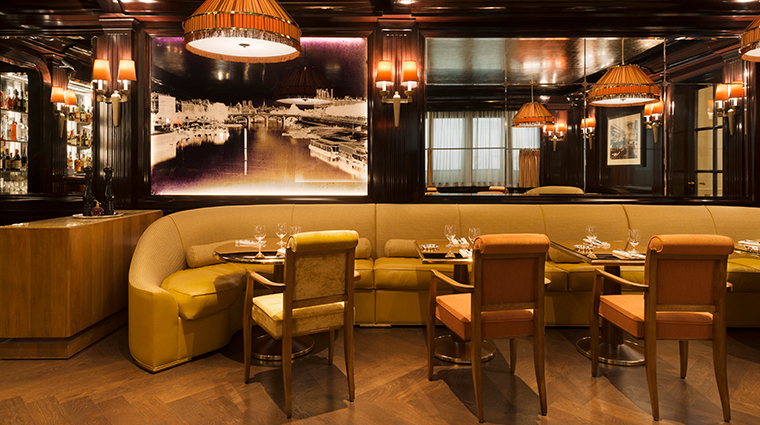 The stunning Bar Vendôme, arching itself over the initial portion of the hotel, commands the most attention at ground level. 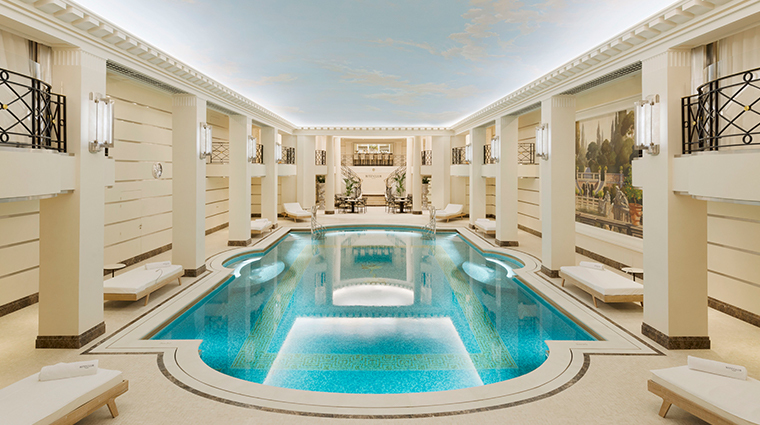 The downstairs indoor pool is among the best (not to mention the biggest) in Paris. 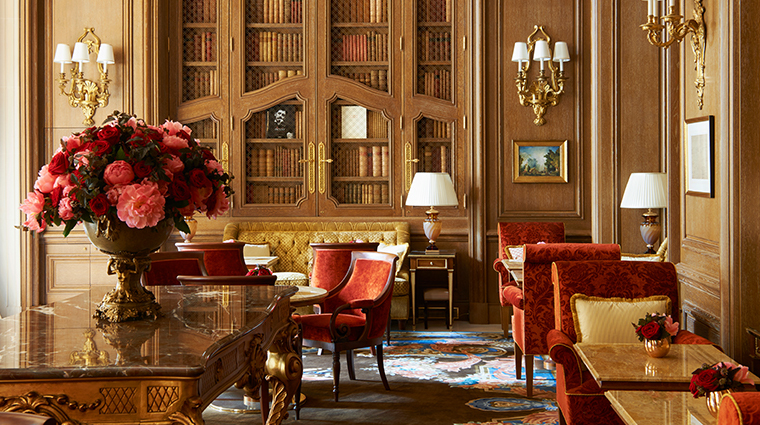 Residing in a two-story health club, Ritz Club Paris enlists the famed design house’s assistance with the sanctuary’s look and feel of its treatment menu. It’s the first spa in the world from Chanel. 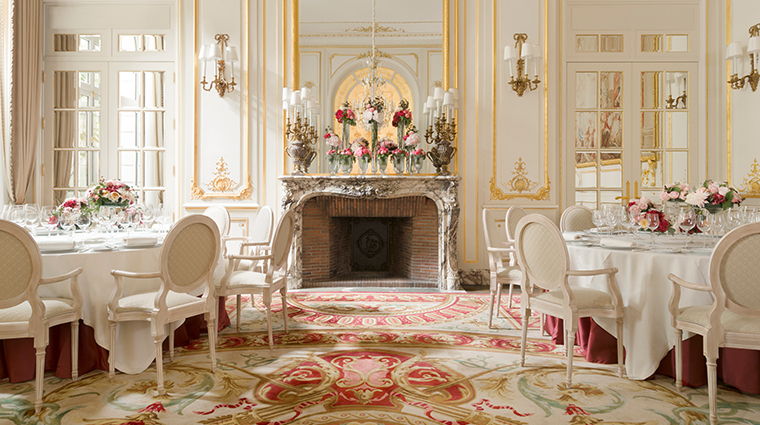 The hotel added a third kitchen in its École Ritz Escoffier, a cooking school named for groundbreaking chef Auguste Escoffier who worked at the Ritz. The school teaches the French way of cooking to everyone from children to veteran chefs. 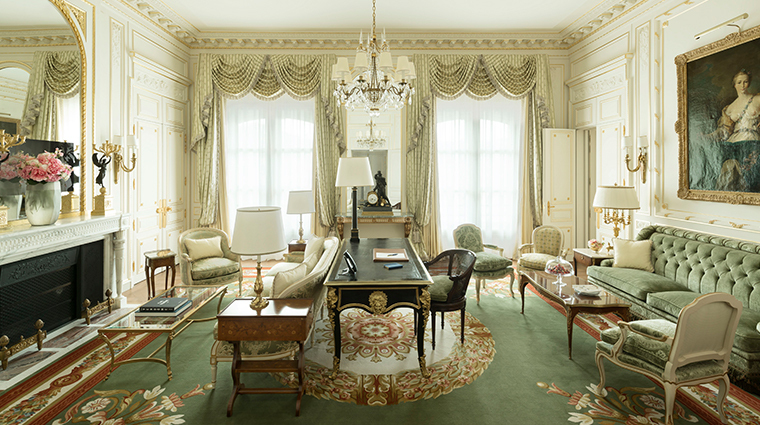 The Imperial Suite is where Princess Diana had her last meal. 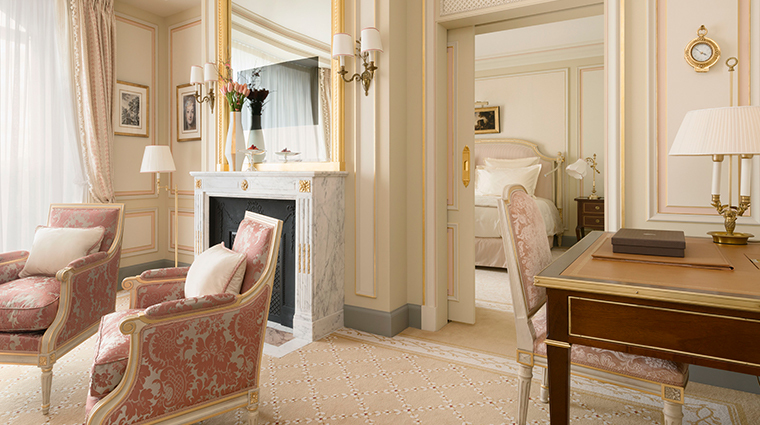 Complimentary Wi-Fi is offered in all rooms and public areas. 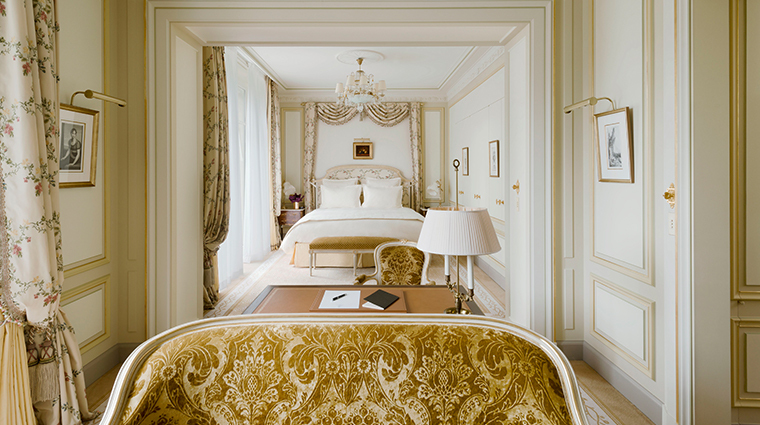 As for the rooms, each has flashes of the Louis XIV spirit infused when the luxury hotel first opened; only now, things thrust toward modernity. 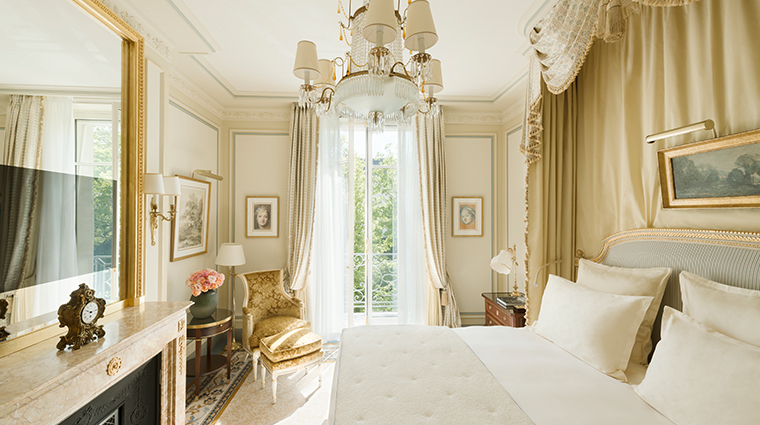 The 13 seminal suites particularly stand out and are named after some of the famous guests: Suite Maria Callas, Suite Coco Chanel and Suite F. Scott Fitzgerald, for instance. 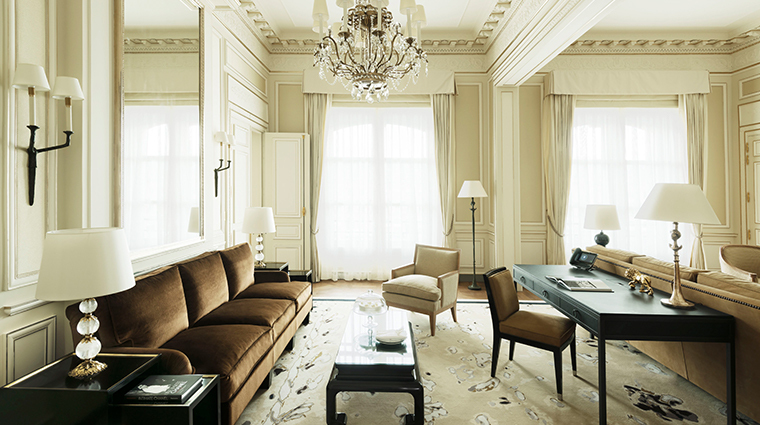 When entering Suite Windsor, floor-to-ceiling windows flood the rooms with light and central views of the Place Vendôme, including the flagship Chanel boutique across the square. 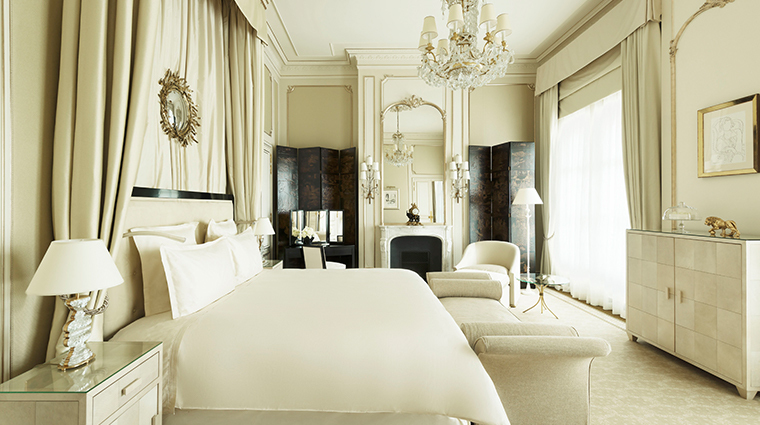 Beds are draped in a neutral blue canopy and linens are splendidly soft with equally plush pillows. 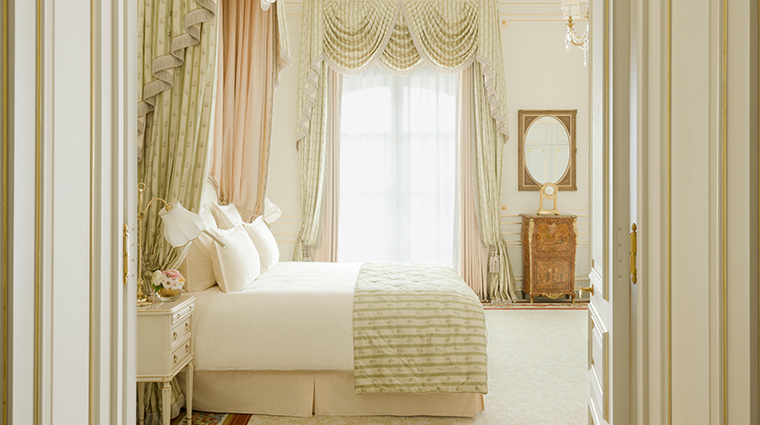 The bathrooms still host the signature pink towels, monogrammed with “Ritz Paris,” and placed on gold inlaid heated stands with swan faucets also adorned in gold leaf (with one sapphire eye and the other ruby). In keeping the technologically savvy traveler in mind, electronic access points are hidden behind wooden slats in the desk while the “on/off” button for the television and the lights are encased in a single panel with buttons designed to resemble sapphires, rubies and other jewels. 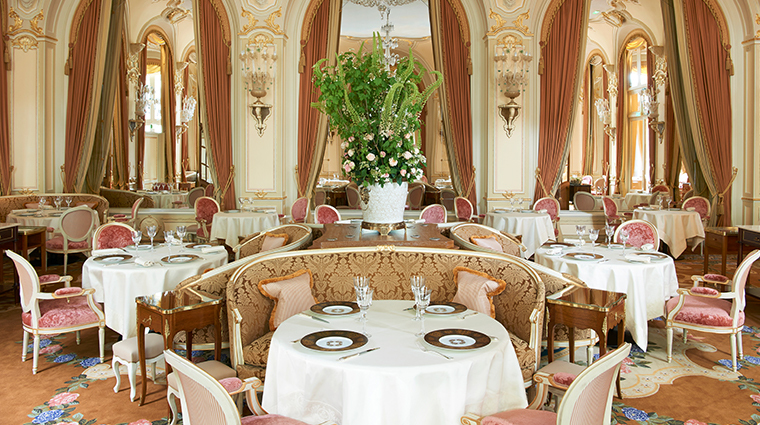 Breakfast, lunch, dinner and the ever-popular brunch fill Ritz Paris’ brasserie/conservatory with the bright sounds of happy people. With comfortable-yet-design-forward chairs, wide tables to balance multiple portions and an all-around aesthetic straight from France’s bistro heart, it’s impossible not to smile. 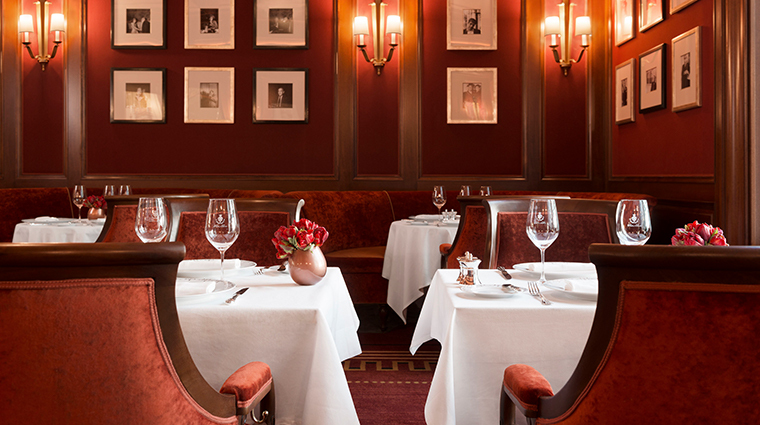 Salon Proust is named for French writer Marcel Proust, of whom is depicted in the painting serving as the restaurant’s centerpiece. The space has been redesigned in a sultry blend of reds and velvets to accommodate afternoon tea, served under the culinary vision of beloved executive chef Nicholas Sale. 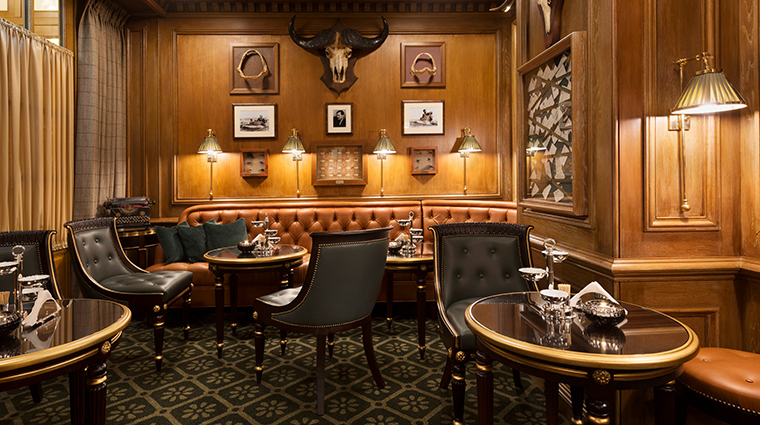 Options for libations include the world-renowned Bar Hemingway, where you’ll find head barman Colin Peter Field. Designed as an homage to The Old Man and the Sea scribe, the space was renovated to include more artifacts from the writer’s life.